That's what this orange topped mushroom is - pure natural mushroom majesty! 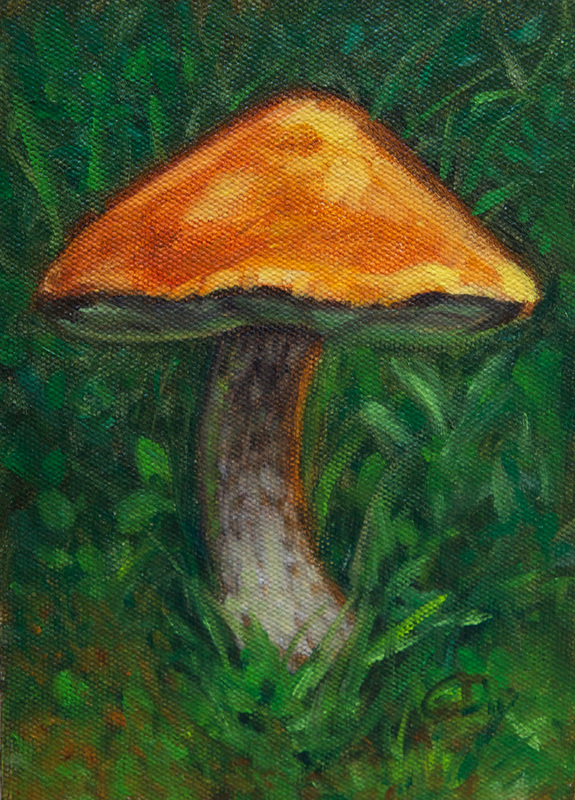 Done in oils on canvas panel and measures 5" x 7". Great for a the naturalist in your life!